The coming 12 months will witness the debuts of a host of new greener cars. Here are some of the coming attractions at the more economical end of the market. If you haven’t already, don’t forget to read part one of the GreenMotor 2012 new-car roundup. 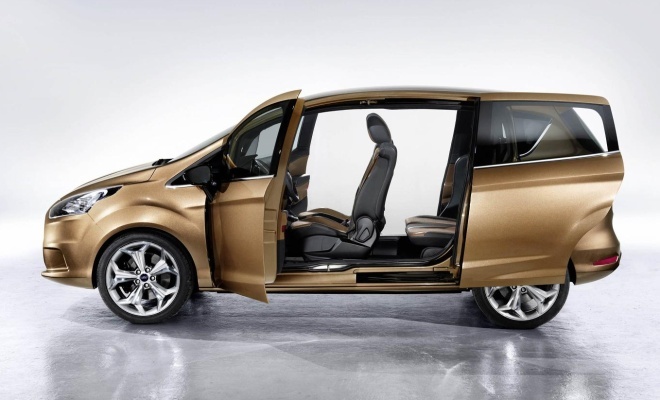 Ford’s smallest MPV, based on the same platform as the current Fiesta, promises to bring uniquely easy access to its family-friendly niche. While key rival the Vauxhall Meriva has rear-hinged doors to try to ease the task of slotting kids into car seats, the B-Max goes one better by eliminating the central pillar between its conventional front and sliding rear doors. The resulting open access should be a boon to busy parents in cramped car parks. The leanest and greenest B-Max will be powered by Ford’s latest EcoBoost petrol engine – a three-cylinder, 1.0-litre turbocharged unit boasting direct fuel injection, variable valve timing and an integrated stop-start function. It can be set up to produce either 99bhp or 123bhp. Ford hasn’t yet published emissions or economy figures for the this engine in the B-Max, but the same engine will also be fitted to the larger Ford Focus later this year. The Focus 1.0 EcoBoost will arrive in the UK from April and will offer CO2 figures of 114g/km for the higher-powered version, or just 109g/km in 99bhp trim. Also due in 2012: the new diesel-powered Focus Econetic is due in showrooms from April, and will be the first Ford to feature a system for reducing harmful NOx emissions. It is set to deliver a CO2 rating of just 89g/km and an 83.1mpg official economy score. At around the same time the Fiesta Econetic will arrive, promising 87g/km and 85.6mpg. Both cars will employ Ford’s 1.6-litre Duratorq TDCi diesel engine, set to produce 94bhp in the Fiesta and 104bhp in the Focus. The new-generation i30 will arrive in the spring, offering a swoopy new body that’s lower, longer and wider than the outgoing model. It will be available with a choice of three petrol and three diesel engines, with power outputs ranging from 89bhp to 133bhp. The most popular option is likely to be the 126bhp 1.6-litre diesel, which should fling the i30 to 62mph in 10.9 seconds and onwards to a maximum 122mph. Meanwhile a range of “Blue Drive” technologies will keep emissions in check, with stop-start, low-rolling resistance tyres and an alternator management system helping to keep the CO2 tally below 100g/km. 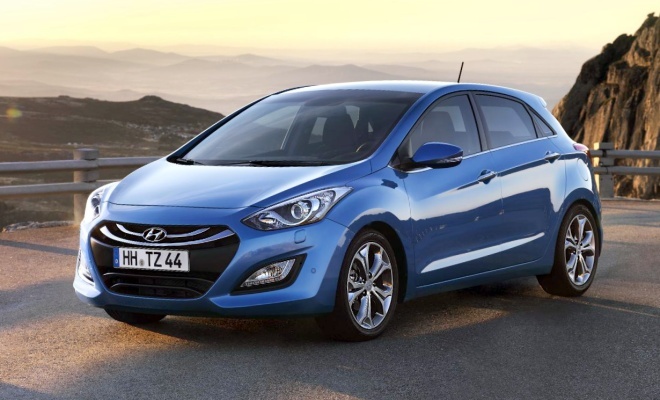 Also due in 2012: Once again the i30 will be twinned with a same-size Kia, the new C’eed arriving hotfoot after the Hyundai in the warmth of summer. It will have its own style – probably continuing Kia’s track record of looking more chiselled and less fussy than the Hyundai – but should get the same engine with the same economy measures, sold under Kia’s EcoDynamics label. The new B-Class will sidle onto UK roads in March, still looking a little dull and forgettable despite the swelling waves and sharp creases stamped onto its sides. It is lower than the retiring model, and more slippery, both of which will help to keep consumption in check. Stop-start and other efficiency measures come as standard across the range. Two petrol and two diesel engines will be offered, the most frugal being the 180 CDI BlueEfficiency, a 1.8-litre 107bhp option. When sitting on 16-inch wheels with the standard six-speed manual gearbox, it delivers 115g/km on the CO2 scorecard and 64.2mpg on the combined cycle – excellent results for a car of this size. The optional seven-speed automatic adds only a single extra gram per kilometre, while the worst-case combination of auto and 18-inch wheels tots up to only 122g/km. Prices start at £21,290, the 180 CDI version can be had from £22,060. 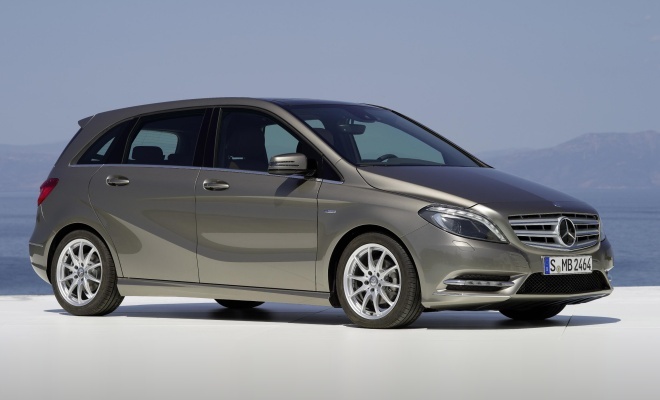 Also due in 2012: The third-generation Mercedes A-Class might just slink in before the end of 2012. Unlike the existing egg-shaped A-Class, the new car will be longer and lower, designed to compete with the likes of the BMW 1-Series and Lexus CT-200h. 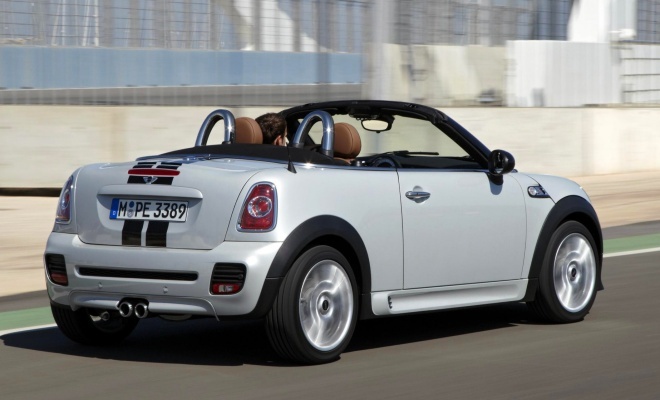 Mini’s ragtop Roadster will no doubt prove as popular as a newly minted iPhone when sales commence in the spring, particularly when slotted in showrooms next to its ugly sister, the Mini Coupe. Four versions of the chopped-about drop-top will be offered: Cooper, Cooper S, Cooper SD and John Cooper Works, at base prices between £18,015 and £24,850. Power outputs will stretch from 122bhp to 211bhp, and the respective sprints to 62mph will take from 9.2 to 6.5 seconds, depending on your budget. The £21,630 Cooper SD strikes a tempting balance between fleetness and fuel economy, and despite its diesel engine should provide a very pleasant open-air experience. The 143bhp 2.0-litre diesel can already be ordered in the four-seat convertible, where it proves to be quiet, refined, and surprisingly lively. The engine will confer a 118g/km CO2 rating when bolted under the Roadster’s bonnet, coupled with an official 62.8mpg. 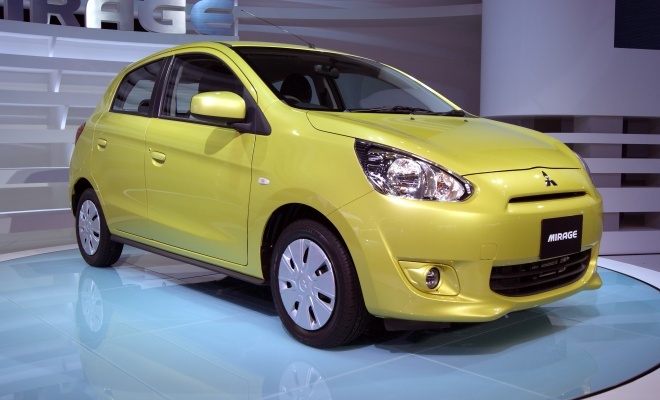 It may look as bland as a bowl of boiled rice, but the new Mitsubishi Mirage’s claimed economy may stir the appetite. The light and fluffy new Mitsubishi Mirage is claimed to be able to travel 30km on one litre of petrol, which in old money works out at 85 miles to the imperial gallon. No doubt that sort of economy will prove as illusory and distant as the car’s namesake in the steamy slog of the real world. The Mirage is built in Thailand and will go on sale there first, starting in March. The car will come to the UK later in the year, perhaps with a badge saying “Colt” glued to its bootlid. Whatever it’s called, the car will feature a 1.0-litre triple with variable valve timing, a CVT gearbox, and stop-start as standard.